The EP starts off with Yo Me Voy De Aqui a progressive dj-tune filled with organic latin samples and an enormous sub bassline – one truly for the dancefloor! Also on the latin tip, Changüí De Manteca features cuban singer Julio Cesar Rodriguez on vocals and percussion and Cesar´s Salad pianist Jo Junghanss on keys on top of an energetic Broken Beat. 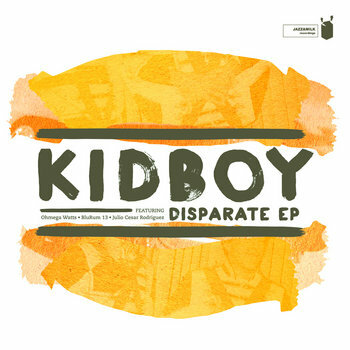 Eventually Kidboy takes you back into the 90´s – the golden era of Hip Hop – with organic beats, jazz driven instrumentation and sophisticated rapping. The Culture features Ohmega Watts, a virtuoso rapper from the States who has released on Ubiquity and already worked with well known acts such as Quantic, The Bamboos or Breakestra. A Moment To Think presents BluRum13, known for his project One Self with DJ Vadim and Yarah Bravo, who came to Granada to collaborate with Kidboy.